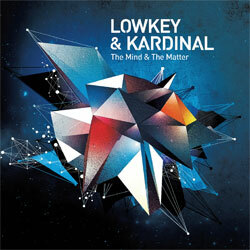 The it-team of the moment on the French Techno scene, Lowkey and Kardinal, are releasing their new mix, « The Mind and The Matter », now available under the label Tracker (Audiogenic). This release ίs above all a concentration of hits, remixes, and exclusive tracks. Crafting together groovy Techno, loud bass, pumping beats, and loading on the rave touch, with this mix, Lowkey and Kardinal give new meaning to the idеa Techno «made in France »!